There are several things to think about and determine when arranging a funeral service. It is often a difficult time for family and friends who are dealing with the loss of a loved one. A funeral is also, to some people’s surprise, a lot more expensive than they first thought, often costing thousands of pounds. As the cost keeps rising, more people are looking for ways to save on the associated funeral costs, from a backyard burial to government help all the way to ‘tree headstones.’ But there are some other things you can do to significantly lower the costs when it comes to somebody dying. The services of a funeral director will start approximately at around £2,000. While funeral directors can take on all elements of a funeral service, you may want to assume some duties yourself to cut the funeral costs. Talk to your chosen funeral director about the different processes involved with organising a funeral, step by step. Is a chapel of rest required? Do you need a vehicle and if so, does it need to be a hearse and limousine? Would friends and family act as pallbearers and help carry the coffin or casket? The decision is yours. If a funeral director opposes to what you want, you need to ask them why. If you are not happy, then contemplate going to another funeral director that can organise the service just the way that you want it. In fact, there is no legal obligation to use a funeral director at all. You may wish to organise the funeral yourself. However, you need to think about the responsibilities carefully. Are you confident enough to take on these duties yourself at such an emotional and stressful time? Burial and cremation fees can often be one of the most costly aspects of a funeral service. Alternatives to keeping the costs down can include choosing natural burial or direct cremation. A natural burial involves a burial in a protected area of natural beauty such a forest, in which the deceased are returned to the earth in the most natural way possible. It’s often cheaper and is generally viewed to be much better for the environment. Similarly, you could pick a direct cremation. This takes place outside of normal crematorium hours and mourners are not allowed to be present while the cremation happens. Following the cremation service, the ashes are then returned to the family. This is far more affordable than a conventional burial or other cremation options that are available, and any money that is saved by taking this cheaper option of cremation can be put to good use by remembering the deceased through a suitable memorial ceremony or wake. A contemporary wake is, basically, a celebration of the deceased. Close friends and family members gather together. A wake involves refreshments, good vibes, and, above all, laughter. It is an important time for telling and swapping stories about the person who has passed away; sometimes they can be serious stories and sometimes funny ones. For some people, it is a way to compensate for the sadness of losing a loved one. 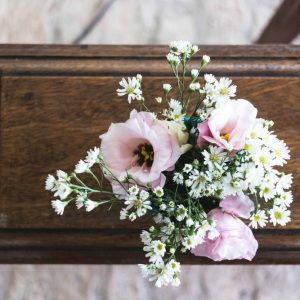 If you want to hold a wake or memorial ceremony after the funeral service, then there are several different ways you can keep the costs to a minimum. There is no right way to hold a wake, so do what feels right to you and try to plan within your price range. Instead of hiring a large venue, the wake can be held at the home of the deceased or at the home of a family member or close friend. Likewise, responsibility for refreshments can be shared among all the guests, with everyone bringing food and drink to share. If a person wants to raise money by crowdfunding, they can ask for it by posting details of why they are seeking to raise money on a website. This means they can bypass approaching a bank and asking them for the money that is required. The most popular crowdfunding platforms on the internet today are Kickstarter, Indiegogo, Patreon and GoFundMe. A more contemporary way of reducing the cost of a funeral service is using crowdfunding websites. Rather than a single family member or one part of the family taking on all the financial responsibility of the funeral costs, those that knew the deceased can all donate to help cover the expenses. This can be an excellent way to cover the cost of a funeral and bring people together to remember those who have passed. When everyone has helped fund something, no matter how little, there is often a sense of greater involvement in the planning process of a funeral. Previous Article Previous post: How Will Brexit Impact Small Businesses?